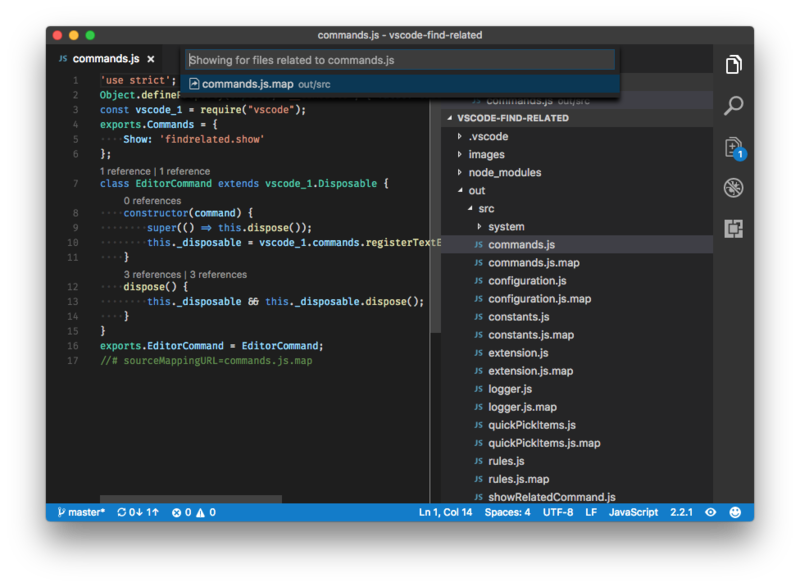 Visual Studio Code>Other>Find Related FilesNew to Visual Studio Code? Get it now. Finds files related to the current file based on user-defined configuration rules. Please open new Github issues with any rules you'd like included in the built-in ruleset. Find Related Files exports an API that can be used to expand its capabilities.